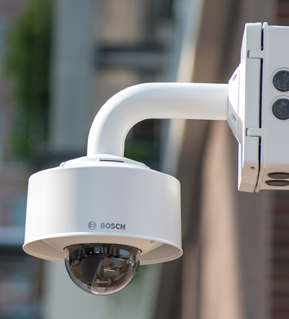 Bosch has launched the FLEXIDOME IP starlight 8000i fixed dome cameras, which offer remote wireless commissioning, detailed image capture in challenging light conditions, and data analysis for delivering business insights. The makers say the product concept simplifies the entire process from pre-configuration and installation to commissioning. 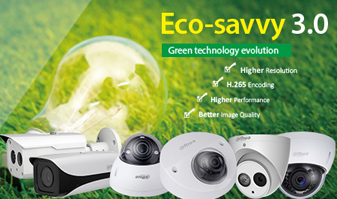 It saves up to 75 percent of the time required to get network cameras up and running, the manufacturer claims. Set-up is in three steps: installing the mounting bracket, connecting the cables, and attaching the camera module. It is also possible to use patch cables without removing the connectors thanks to the patent-pending grommet design. The risk of dust and dirt ingress is eliminated since the camera module now remains sealed throughout the install and configuration, thanks to its remote wireless commissioning. The remote wireless configuration and commissioning functionality enables installers to work smarter, the company adds. Currently when commissioning, installers have to climb up and down ladders, or hire lift equipment to reach cameras at high levels. With this camera, commissioning can be done wireless. No need for ladders or lifts. Instead, a wireless contactable tablet or smartphone with the Bosch Project Assistant app can be used to adjust the pan, tilt, roll and zoom (PTRZ), to set the required field of view without touching the camera or lens. Should any adjustments be required post-installation, such as for new store layouts or altered high-risk zones, these can also be carried our remotely after a secure release process to save time, effort and resources. 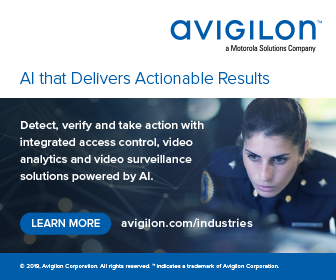 Intelligent Video Analytics with Camera Trainer is the firm says the next step in the development of video analytics and introduces “machine learning” to the company’s cameras. The Camera Trainer enables the installer to customise Bosch built-in video analytics to detect objects or situations that matter most to their customers. This fits in today’s market as there is no “one-size-fits-all” when it comes to protecting people and property, or delivering data for business intelligence, according to the firm. The ability to identify new user-defined objects with more precision (such as persons walking with a shopping cart) and situations can be combined with pre-determined alarm rules and object filters of Bosch cameras’ built-in Intelligent Video Analytics. It also opens up new customised uses. For example, the separation of vehicles clustered together in front of traffic lights, regardless of movement. Or how long a vehicle has been parked in a bay. With Camera Trainer, video cameras can be taught to recognise and detect stationary objects or certain situations instead of being triggered by motion alone. In the new range, Bosch’s starlight technology is built-in as a standard, regardless of resolution. This means all models: HD 1080p, 6 megapixel, and the 4K ultra HD resolution provide detail – even in low-light. Fast-moving objects are captured with frame rates of up to 60 frames per second (fps), while High Dynamic Ranges of up to 134 dB compensate for dark and bright spots in the scene. Visit www.boschbuildingtechnologies.com.